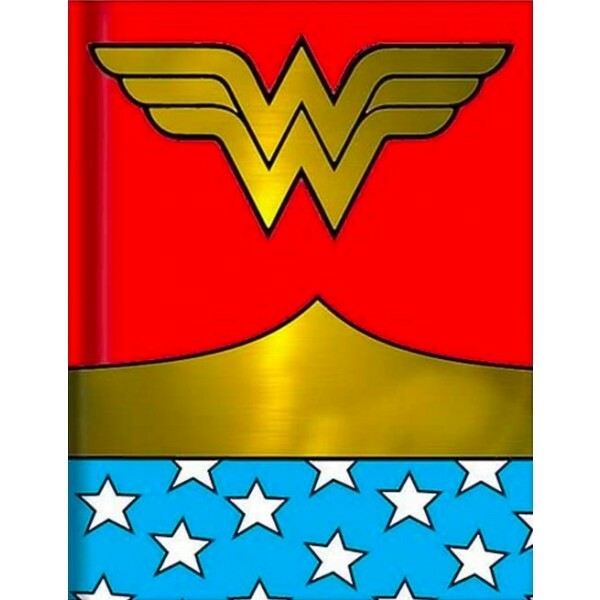 Your Mighty Girl can take notes about saving the world in this Wonder Woman Hard Cover Journal! Silver Buffalo's 6 x 8 inch hard cover journal contains 160 pages (80 double-sided lined sheets) and comes complete with a ribbon page holder and decorative front and back inner covers. Each cover features a foiled Wonder Woman logo. For more Mighty Girl gear for school, visit our School Supplies section in Kids Gear. 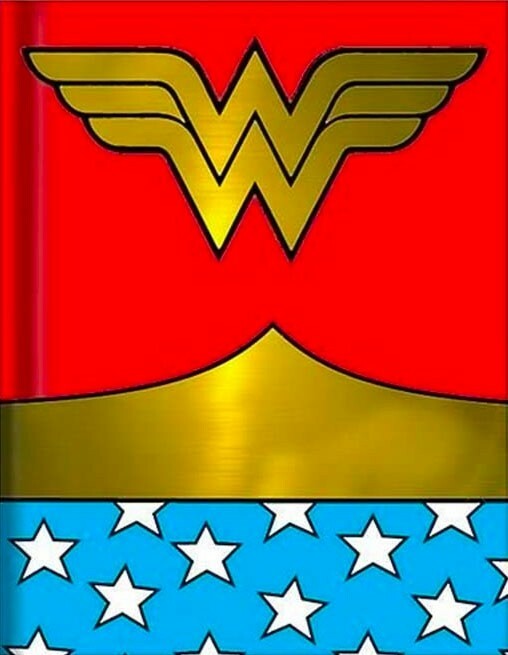 For more Wonder Woman-related t-shirts, toys, books, and other items, visit our Wonder Woman Collection. For a range of girl-empowering journals, visit our Writing / Journaling section.